Maintaining a hygienic environment in hospitals is essential when considering the health and wellbeing of patients, employees and visitors. This is why hospitals must engage in a quality professional cleaning service. The problem is not that hospitals aren’t being cleaned. The problem is that the people doing the cleaning are often only trained to clean commercial facilities. That’s like hiring somebody as the head chef in a five-star restaurant because of their experience behind the fryer at McDonald’s. It doesn’t recognise the difference between these environments and is bound to end in disaster. Here are a few things hospitals should look for in their cleaning staff. If you want to be able to clean a hospital properly, you’ll need the right supplies. And it’s going to take a lot more than a mop and bucket. That’s because, in today’s world, every facility is different. In the name of sustainability and price, we’re seeing new materials used. 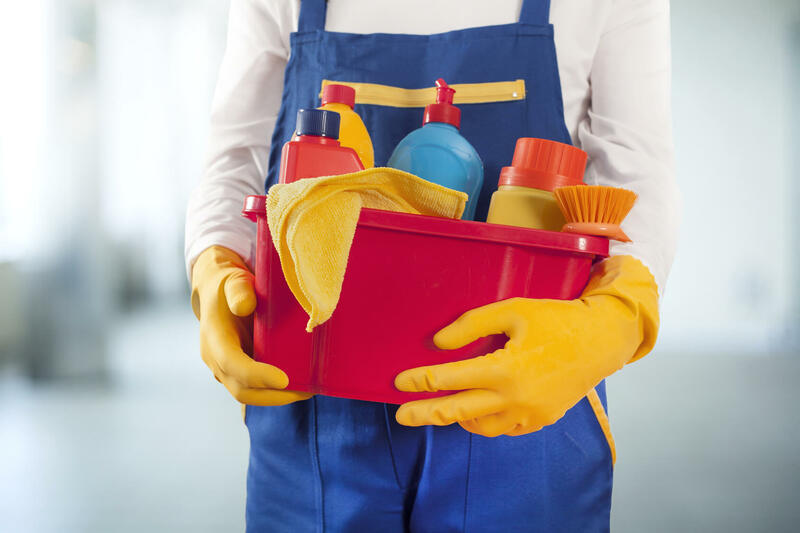 When cleaning companies take a one-size-fits all approach, they can cause serious damage to your facility and even your health. The best thing to do is find a company that prides itself on intellectual curiosity and technology-based planning. What that means is that the cleaning company you work with will recognize the unique needs of your health care facility. This should be the norm, but it’s unfortunately far more common to find a hospital cleaning service that wants to change your hospital to fit their methods. So many people in Australia, from old scientists to young activists, focus on environmentalism. The message is clear: a clean world is a good one. From that perspective, it’s hard to imagine a service without this focus being clean in any way. That’s because attention to green is attention to clean. Protecting the environment is reason enough to hire a green business to clean your hospital. But beyond that, it’s about priorities. An organization that fails to focus on a clean world will fail to focus on a clean hospital. When it comes to cleaning a health care facility, it is inexcusable for companies to say “enough is enough.” But sadly, this has become incredibly normal in the world of hospital cleaning. A good hospital cleaning service starts before the first sponge is lifted. That means having a well-trained and well-organized staff at your disposal. When you hire your service, ask them about the training they put their employees through. Ideally, it should be rigorous: a deep knowledge of the ins-and-outs of working with germs and chemicals is essential. With that in mind, make sure you hire people who know what they’re doing and are passionate about it. You don’t want somebody who cleans a hospital to be working for the weekend. One of the many ways to get sick in a hospital is by contracting a foodborne illness. While most people have a functional knowledge of food safety in the home, food safety in a hospital is a completely different story. You may not think that a hospital cleaning service should have anything to do with food prep. But you would be wrong. That’s because hospital cleaners are, ideally, involved with every step of managing a hospital’s hygiene. That includes making sure the kitchen is as clean as possible. Make sure your patients aren’t eating anything you wouldn’t by hiring a good hospital cleaning service. Attention to detail begins before the first floor is mopped. We would tell you when it ends, but the truth is it never does. You want to be able to contact the company you work with throughout the day and week. That’s because patients are in your hospital 24-hours-a-day, 7-days-a-week. Make sure you hire a hospital cleaning service that offers 24/7 customer support. Medical professionals understand more than anybody that serious problems and needs don’t just happen in daylight. There’s a difference between hiring a hospital cleaning service that’s cheap and hiring one that works at a fair price. Cheap services are cheap for a reason. They often reduce costs by cutting corners and need to be avoided like the plague that they’ll no doubt cause if you hire them. A fairly priced service, on the other hand, offers you a competitive rate by getting to know your needs. It’s common for a service with a fair price to offer a free quote or audit to determine exactly how much it will cost to clean for you. This estimate is far more effective than a too-high-or-too-low flat rate. Make sure you hire a service with an interest in providing the fairest price possible. What Makes Us Australia’s Best Hospital Cleaning Service? We’re a technology-and-training focused service that does environmentally friendly work at a competitive price. Our attention to detail is second-to-none, and these policies have made us Australia’s best hospital cleaning service. If you’re interested in hiring people who care about the cleanliness and health of your patients, there’s nobody better to hire than us. We even offer free quotes and audits to potential customers. So contact us today to find a clear solution to your hospital cleaning needs.